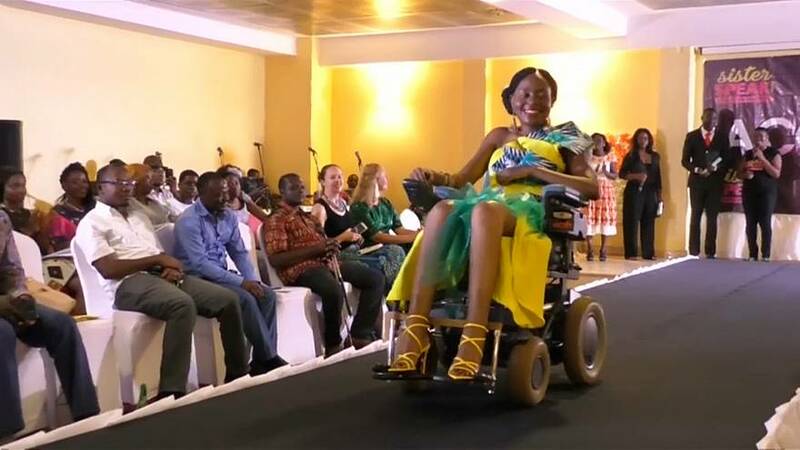 A fashion show in Cameroon's capital Yaounde featuring models with disabilities aims to change perceptions and break down barriers. Models proudly showcased the work of local designers in their bid to promote a more inclusive society and fight the stigma that often surrounds disability in the country. There are 2 million people living with disabilities in Cameroon, according to the World Health Organisation (WHO), and most have limited access to education, healthcare and employment, even public transport – and live in poverty as a result. Access 2019 was organised by women's empowerment organisation Sister Speak, which called it an opportunity to inspire a new generation of Cameroonians to feel accepted and confident. "One thing we want to achieve at Sister Speak is to change perceptions around what people think about women with disabilities in Cameroon," said the show's organiser, Comfort Musa. For aspiring model Michelle Sojip, who took part in the show, it was successful in its aim. She said: "With all the barriers placed upon us by society, it's not easy to feel like a woman. Access is an opportunity to show the world that you can live with disability but still look like every other woman. You can be beautiful, and you can dream." Organisers say they hope to make the show an annual event.